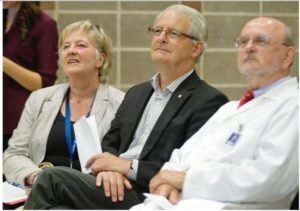 With a national vision of bringing Healthcare on a Human Scale into the future and well beyond any borders or boundaries, the St. Mary’s Research Centre is honoured to be spearheading the creation of a dynamic Canada-based healthcare website; and was hand-picked by the University of Oxford to be the Canadian lead. In collaboration with McGill University, www.healthexperiences.ca provides an enlightening opportunity to see and hear individual Canadians’ real life experiences with illness and health and will serve as an important resource for support for the general population across all cultures. St. Mary’s researchers are proud to unveil innovative new software that can provide healthcare in remote areas, including outer space! With this new technology, millions of people around the world without direct access to a health professional will be able to benefit from the most current medical knowledge through virtual examinations, testing and prescribed treatments. 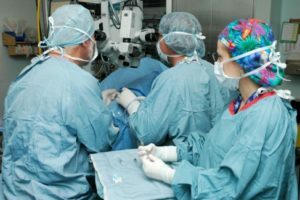 While St. Mary’s remains one of the largest cataract surgery centres in Quebec with over 5,500 eye surgeries per year, in 2014 we became the first North American public hospital to offer advanced, blade-free cataract surgery technology. With the LenSx Laser, St. Mary’s Ophthalmologists can now perform pain-free streamlined procedures that last 35 seconds and let patients return to their normal routine within 24 hours. As a McGill University affiliated teaching hospital, St. Mary’s plays a leading role in shaping future medical professionals. Our hospital may be small in size but the enormity of our accomplishments in Teaching and Research are immeasurable. We have one of the most sought-after residency training programs in Canada, providing students with an unparalleled experience in a vast majority of fields. Striving for continuous improvement and with the patients’ needs as our compass, St. Mary’s is focused on providing the full spectrum of healthcare for all members of the family. In 2011, St. Mary’s was the first hospital on the island of Montreal to obtain the “Baby-Friendly Hospital” accreditation from the World Health Organization. And over the past year, we have been championing the “Senior-Friendly Approach”, tailoring our care to the special needs of our elders.